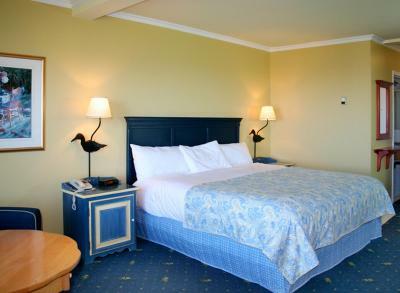 Lock in a great price for Hôtel le Mirage – rated 9 by recent guests! View was awesome. Personnel very friendly. Room well appointed and well maintained. Office personnel offered a « sunrise wake up « call for photographers . The view was well worth the early awakening! The bed was comfortable and the room was quite large. The furnishings were nice. This is significantly above average motel. The view is wonderful dusk and dawn. Very helpful staff with good restaurant recommendations. Good breakfast. Comfortable and clean. Off-Road parking. It's got it all. The "sun-set style" photo is actually the dawn. Worth an early morning. After spending a couple of nights in rather mediocre hotels, this was a very nice change. 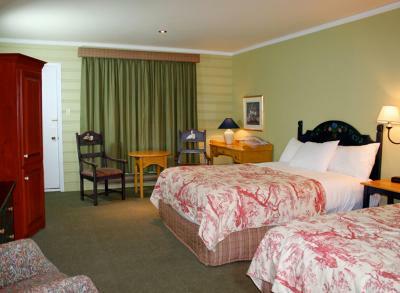 Room is very spacious and clean, bed super comfortable and mini fridge is very convenient. Everything! The location was exceptional. We didn’t have breakfast there. Hôtel le Mirage This rating is a reflection of how the property compares to the industry standard when it comes to price, facilities and services available. It's based on a self-evaluation by the property. Use this rating to help choose your stay! 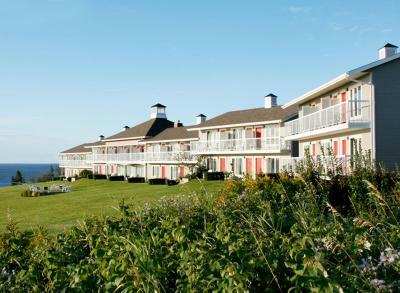 One of our top picks in Perce.Offering beautiful views of Percé Rock and Bonaventure Island, this country-themed hotel features a seasonal outdoor pool and a restaurant. Free WiFi is available in every room. 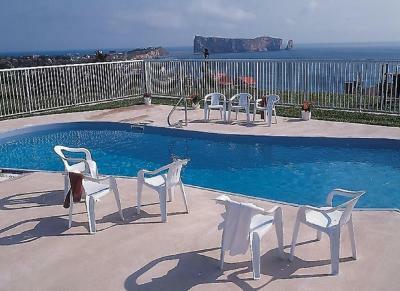 A private balcony offers a view of Percé Rock from each room of Hôtel le Mirage. Cable TV and a radio are included. Guests of the Mirage are welcome to enjoy the tennis court. The property offers a high speed fiber optic internet connection. 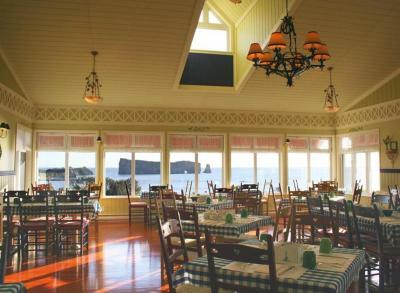 Trips to Percé Rock and Bonaventure Island can also be arranged through the hotel. 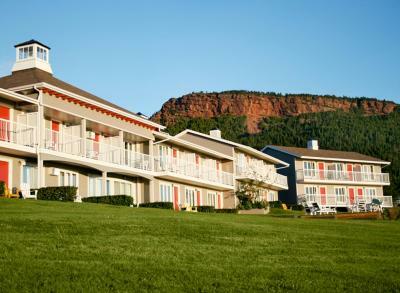 The Percé Hotel le Mirage is 24 minutes from Grand-Rivière. Gaspé Harbor is 1 hour away. 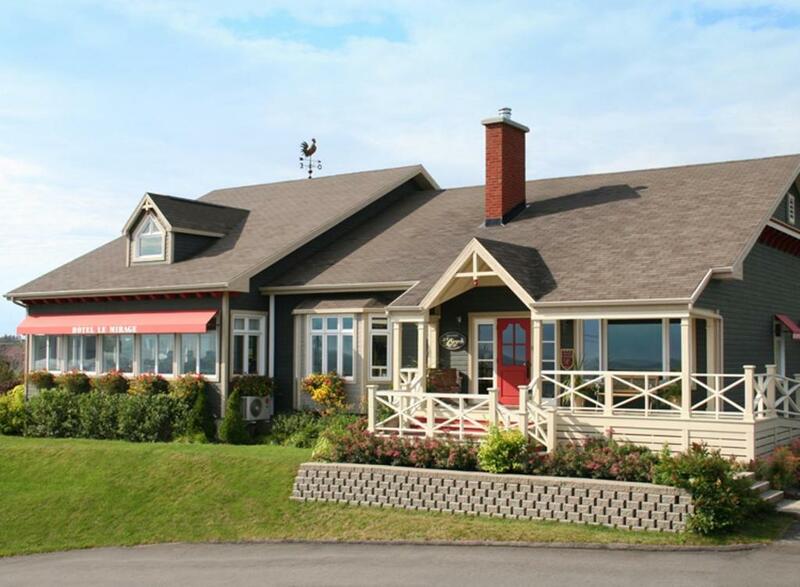 This property also has one of the top-rated locations in Perce! Guests are happier about it compared to other properties in the area. 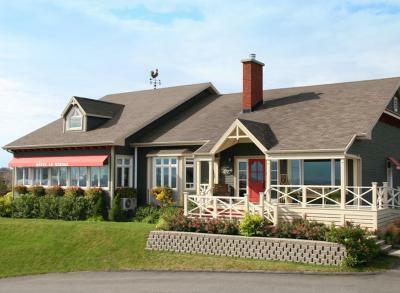 This property is also rated for the best value in Perce! Guests are getting more for their money when compared to other properties in this city. When would you like to stay at Hôtel le Mirage? 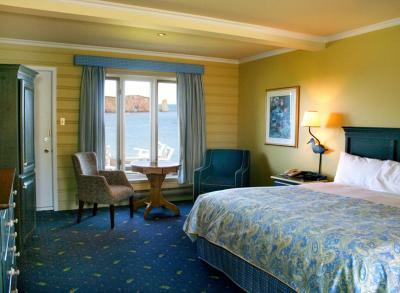 This room offers a view of Percé Rock and of Bonaventure Island. This double room has a balcony and flat-screen TV. Please note that this room cannot accommodate an extra bed. House Rules Hôtel le Mirage takes special requests – add in the next step! All children under 2 years are charged CAD 25 per night in a crib. All children under 12 years are charged CAD 25 per night for extra beds. Hôtel le Mirage accepts these cards and reserves the right to temporarily hold an amount prior to arrival. 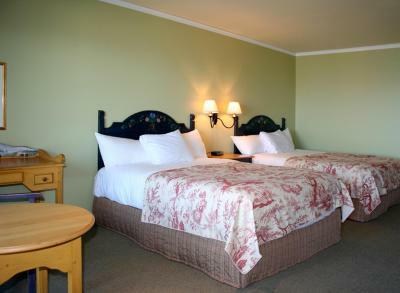 Please note, rooms can accommodate a 3rd or 4th child but with an extra person fee of CAD 25. Please note that the numbers of baby cots is limited. Please contact the property to confirm if one is available for you during your stay. The room was dark, no coffee in the morning. Had to walk across to the restaurant in the freezing wind to get it. The room overlooked Perce Rock, fabulous view, spacious room. We had a spectacular view of Perce Rock and Bonventure Island from our room. There were two lawn chairs outside our door where we sat and admired the unobstructed view. There was also a nice expanse of green with another place to sit just down from our room. Daytime and sunset views were absolutely gorgeous. We were able to buy a lovely breakfast - a nice variety, beautifully presented, delicious, and with good coffee! All the people were friendly and helpful. Staff, rooms, breakfast and location were lovely. The channel on the TV was off so we couldn't watch it. I like the view from the room . It 's perfect location for watching the rock Percé . The staff are very kind and efficient. No coffee in the room, must go to the main building dining room. Breakfast a little pricey but the dining room and small lounge are very nice and THAT VIEW is really spectacular. It must be the absolute best view location to see Percé and Percé Rock. Awesome sunrise. That breakfast is not included is slightly unclear. The courteous gentleman at the front desk said, "You will be having breakfast with us," and it may be our limited French, but we took it as a statement regarding an included item rather than a question/an optional and added cost. We did, however, breakfast there, and it was a good meal. 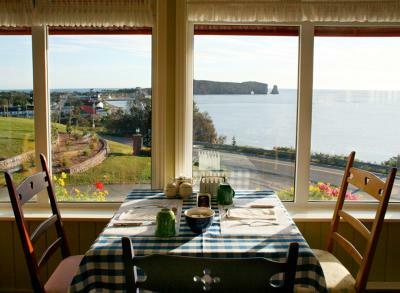 The views from the room's balconies may be the loveliest in Percé. 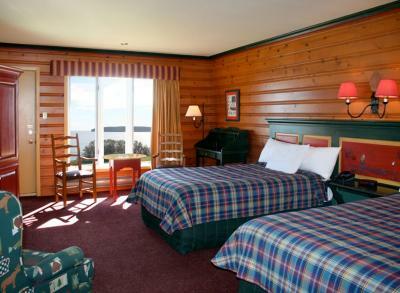 Our room was charmingly decorated, knotty pine walls, a hand-painted bed with fishing scene. 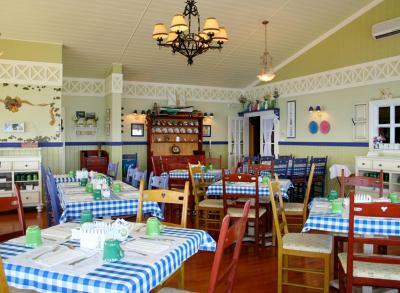 The breakfast room is all windows, looks over the water. I didn't like the fact that the net on the tennis court had been taken down. We were there Sept 8 and so it was still tennis season. Additionally, the soundproofing was very poor, top to bottom. I had to pound on the floor to get the noisy people below to settle down. This is why I generally prefer concrete construction. Location and view were fabulous. The room was spacious and comfortable. That we could not stay longer and enjoy both the town and hotel! The location of the hotel was a huge bonus as we had booked on line!! The view from our 2nd floor balcony with chairs overlooking the town of Perce and the rock was outstanding, the room was spacious, with comfortable seating and beds, thoroughly enjoyed breakfast in their restaurant, again, magnificent view of town and the hole in the rock! They don't have any dinning at night. No coffee facilities in the room or in reception. Large, clean room. Great view over the bay and to the rock. Nice balcony.